Evaluate fast food items and compare food based on nutrition, quality, packaging and price. Watch Super Size Me or portions of the video to get the students thinking about fast food. With all the buzz about nutrition, fast food, from movies like Super Size Me let the students draw their own conclusions. The task is simple, in groups or pairs students will chose one fast food menu item and compare it with at least 3 other restaurants or fast food joints that carry a similar product. The students will compare the nutrition of each item, as well as cost, size, and weight. They will show their process in front of the camera creating a short video presentation of their findings. Library and planning time is all you need once you explain the project to the students. In one class they should be able to come up with one menu item they would like to compare that is served in three restaurants that provide nutrition facts. Students should have enough time to figure this all out and to also print the nutrition facts in class. You may want to limit one food item per class. It may be kind of boring for three groups to research French fries or then again maybe it would be interesting if they all chose different restaurants or sizes. Other ways to do this project is to have groups make presentations in front of the class instead of creating a video. You can also give your class a choice on whether they would rather do their presentation in front of the class or video tape themselves. One way to make this work for middle school students is to ask the class what three food items they would like to compare and from what restaurants and you can purchase them and have the class analyze them kind of like a science experiment. Create a station for each food item and have groups of students go from station to station and write down their observations on a chart. Download the chart under “attachments” below. What do you think is important to keep in mind when buying food from restaurants? Are all foods with the same name created equal? 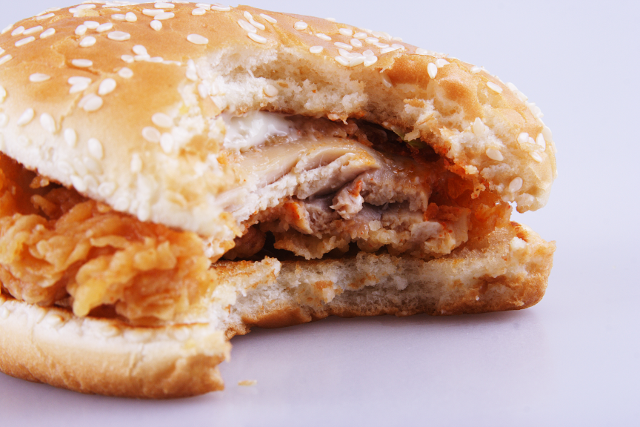 Is it ever okay to eat fast food?